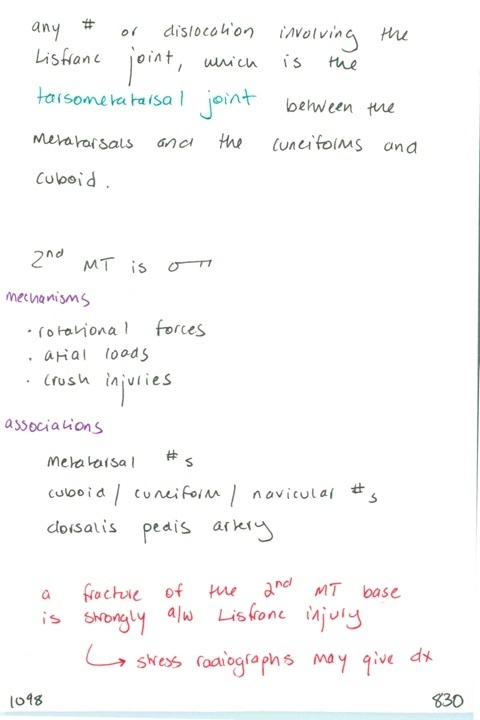 Confusion reigns over the terminology around 5th MT fractures. Avulsion fracture of the base is the most common and is generally managed conservatively. 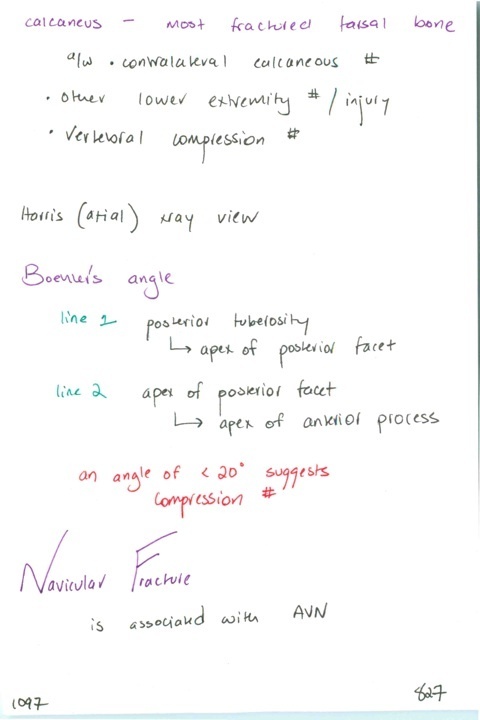 Jones fractures are transverse fractures 1-2 cm distal to the base and are often managed surgically. 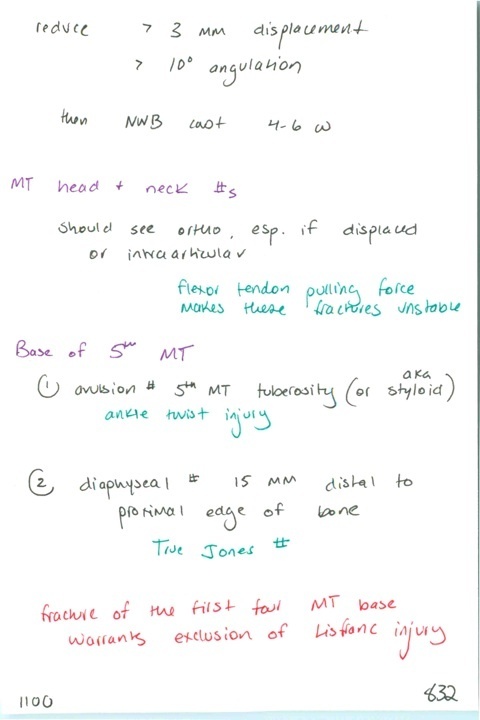 Dancer’s fracture is a spiral fracture of the MT neck that is also generally managed surgically. 1098. What is a Lisfranc injury? 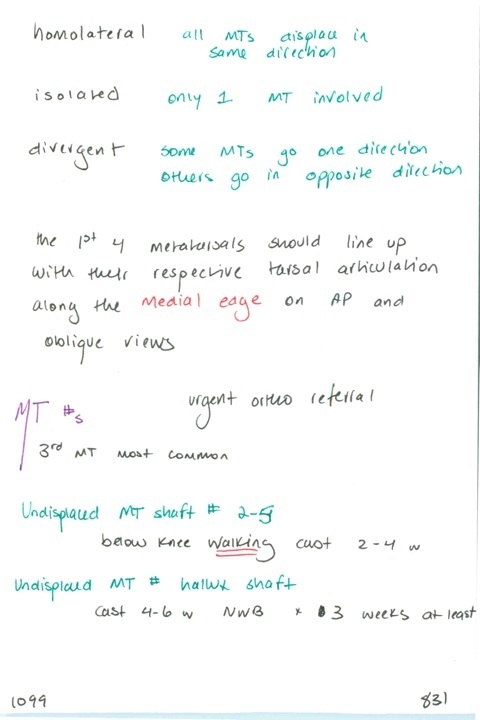 What is the most important element in the Lisfranc joint? Mechanisms? 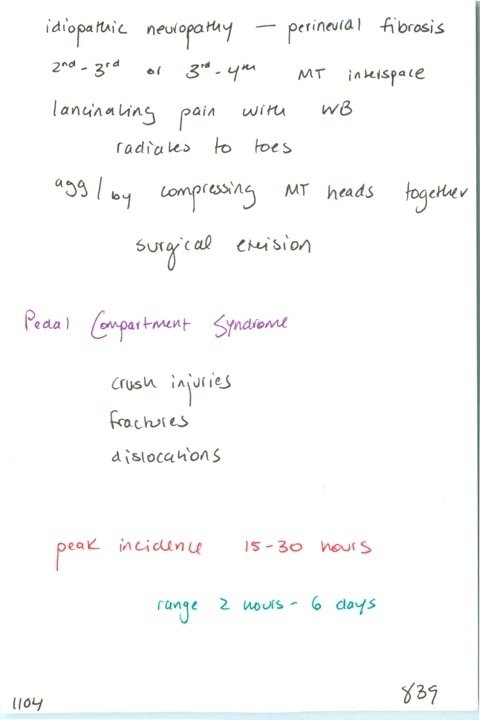 Associated injuries? 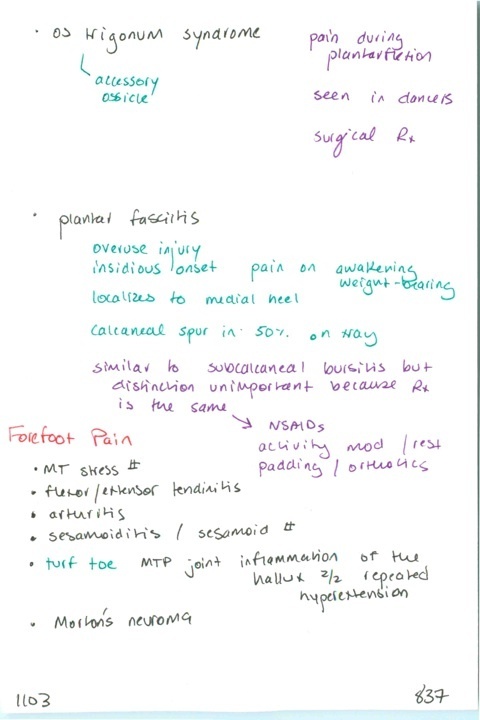 Injury that should especially raise concern for Lisfranc? 1095. 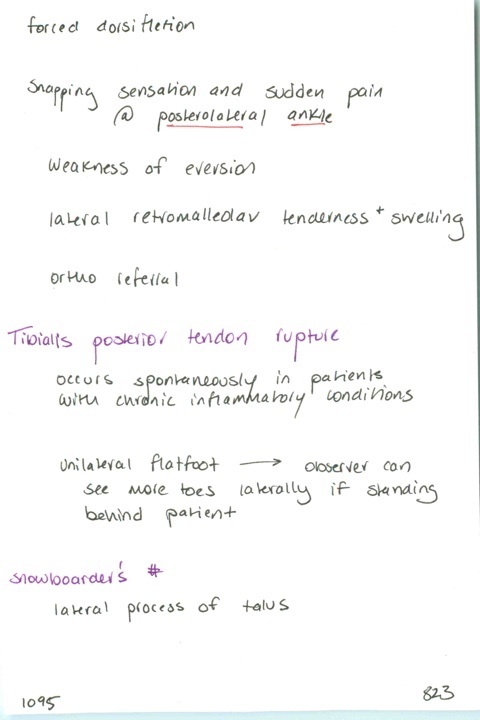 Peroneal tendon dislocation: mechanism, s/sx, Rx // Tibialis posterior tendon rupture: population, s/sx // What is snowboarder's fracture?